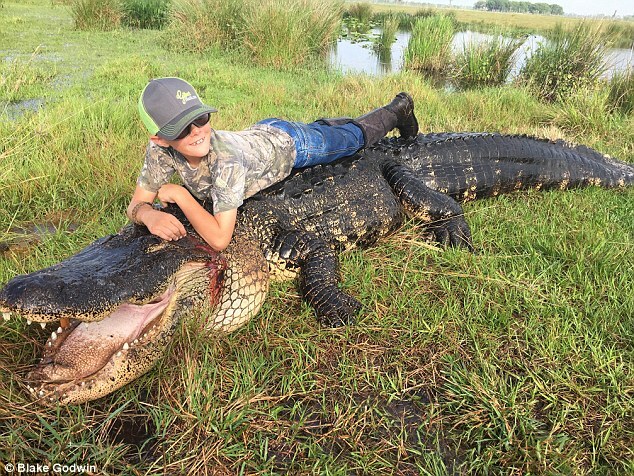 Hunters have caught and killed a 15ft alligator that was eating cows. 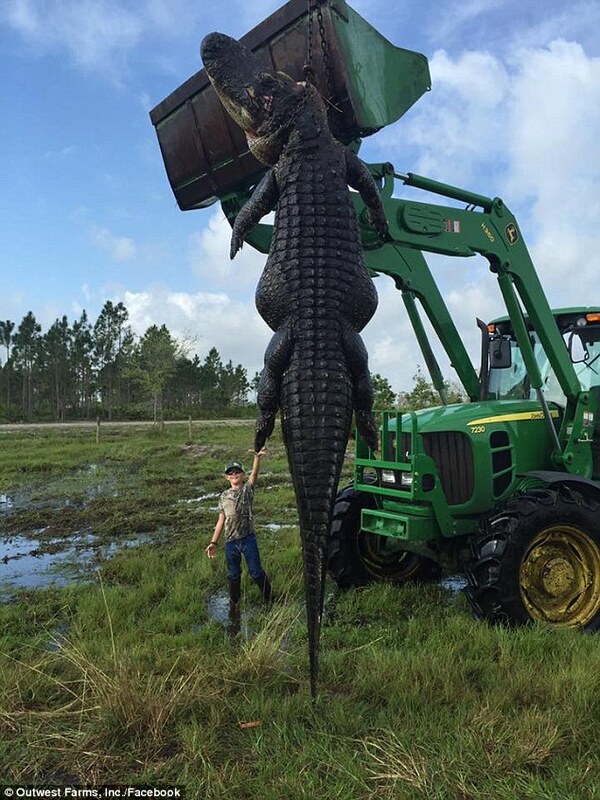 The 800lb creature was fatally shot in Okeechobee, Florida, on Saturday after terrorizing the cattle on a farm. 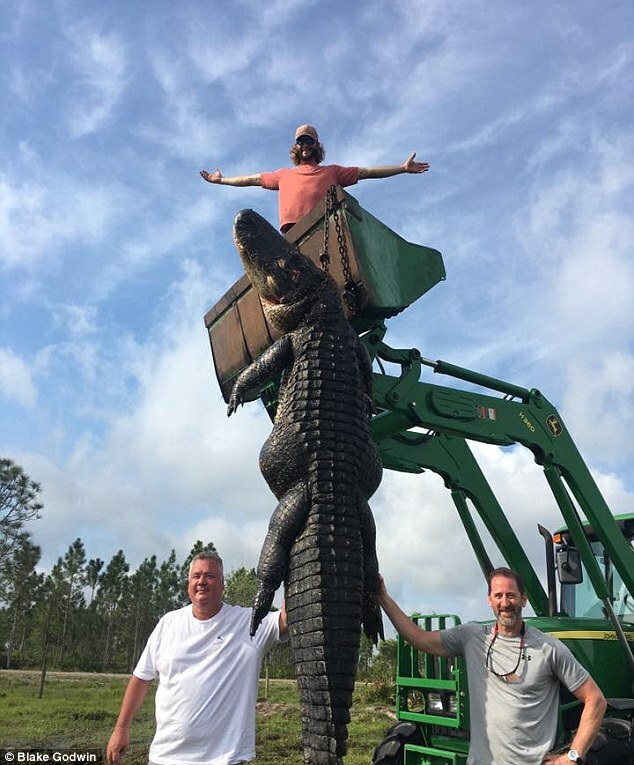 Lee Lightsey, the owner of Outwest Farms in Okeechobee, and hunting guide, Blake Godwin, discovered the enormous animal in their cattle ponds on April 2. 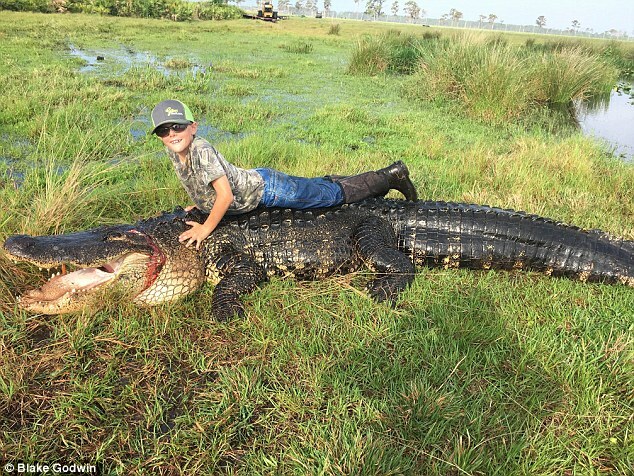 They believed the gator had been feasting on the farm’s cattle. On Saturday the creature surfaced around 20ft from them, so they shot it. It was so big they had to use a tractor to drag it out. However, they were then able to use the vehicle to proudly show off their catch.